Throughout each year, I reinterpret every approaching month as its own creation. I seek to capture the essence, mood, and energy of that month in terms of the seasons, weather, and even the associated Zodiac signs. This is July’s necklace for 2016. A gorgeous emerald green Swarovski leaf is embellished with a hand forged and wire wrapped crown of fine silver. 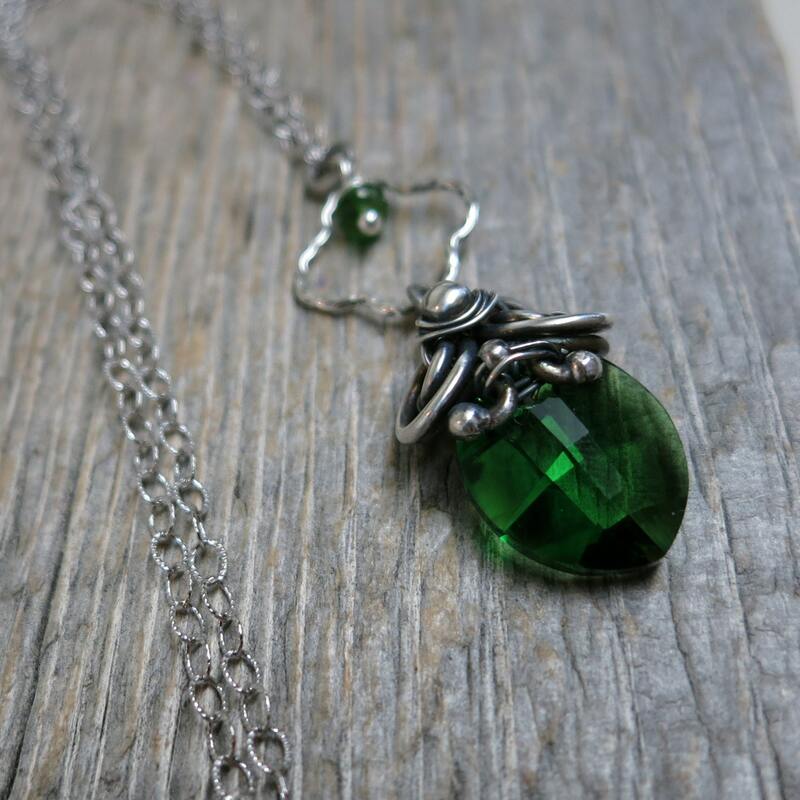 It hangs as Y-necklace with a delicate hammered clover link and a tiny rondelle of green chrome tourmaline. The chain is textured sterling silver. Chain is 18" from end to end plus an extender at the clasp. 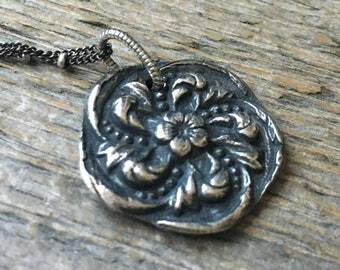 Center pendant is 1.5" long.